Pension benefit in the United States is like a sacred promise to a retiree who expects without equivocation to receive his regular monthly benefit for the rest of his or her life. So, while payment of pension benefits to the retirees in the United States is generally certain, Nigerian pensioners at all levels are literally left in the wilderness to fend for themselves. In other words, retirement in Nigeria is like being sentenced to slowly die in a scourging shallow lagoon of abject poverty. 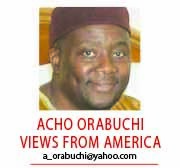 Fascinatingly, the Nigerian pension schemes are similar to American programs in some aspects. While Contributory Pension Scheme (CPS) is similar to what is generally obtainable with the pension plan in American businesses, Nigeria’s Defined Benefit Scheme (DBS) lurks perfectly behind the retirement system in various governments and other public agencies. Interestingly, just like in the United States where pension systems are consistently monitored to ensure their buoyancy, Nigeria has been working hard to perfect its pension plans. Since the first statutory pension law, the Pension Ordinance of 1951, the Nigerian pension structure has undergone historical developments to this day. Notwithstanding all the efforts to improve the retirement system, the pension funds are always drained empty by scrupulous individuals. An online piece in THISDAY on April 1, 2017, entitled “Urgency of Bailout for FG Pensioners Gains Momentum,” illuminated the already known albatross in a corruption-riddled environment. Again, despite the similarities in the American and Nigerian pension systems, the differences are strikingly alarming. The major difference between American pension plans and Nigeria’s is that the value Americans place on human life is greater. Americans want one of their vulnerable groups to live a decent life in their old age. Another difference is that the pension funds and their management are protected from embezzlement. The pension system is devoid of corruption because the structures and the institutions are highly standardized. Yes, despite all the pension reforms by the Nigerian government, the pension is still plagued with widespread corruption. The culture of corruption is endemic in the fabric of the society to perpetuate brazen embezzlement. As a result, people can openly embezzle pension funds without fear of any consequence. In America, there is rule of law and no one is above the law, including the President of the United States. But meanwhile, the pension funds continue to experience perennial shortfall. Consequently, horror stories about pensioners suffering because of nonpayment abound. Some pensioners die while waiting to receive their pension benefits. While the raging debate on what actions the federal government should take to bail out the pension funds goes on, pensioners continue to die without receiving their benefits. I thought people’s life and security should be beyond politics. Matters concerning life and death of the citizens should be devoid of politics. In the midst of the political power-play concerning the firing of Mrs. Chinelo Anohu-Amazu as the Director General (DG) of PenCom and her pending replacement, pensioners are dying in abject poverty because of non-payment of their pension benefits. It is rather unconscionable to expect people to work hard all their adult lives, pay into their retirement fund only to be paid meagre sums or nothing for pension after retirement. While I commend the National Assembly for the actions the body has taken so far on the pension funds deficit, I strongly encourage the body to work with the presidency to save the lives of the pensioners. Any further dilatory actions on full funding of pensions not only amount to dereliction of responsibility, but it also depicts highest degree of duplicity. Unfortunately, the Nigerian policymakers fail to realize that regular monthly payments of pension benefits impact the economy greatly. Again, the pensioners use their benefits to pay for goods and services and the expenditures from the retirees help sustain employment in various sectors of the economy.